* - Hacking/Making. AI, IoT, Android, Physics, Maths, Aporia, Philosophy, Puzzles. The latest update to Chrome (Chrome 70) sneaks in yet another ‘convenience’ for you. When you use Chrome to login to and Google account (Gmail, YouTube, etc. ), it will automatically also log you into Chrome. That could be handy – if you want to sync your Passwords, Payment handlers, bookmarks, browsing history, search history, etc. But it could be a serious security and privacy breach if the machine you’re using is not your machine; whether that be in work, college, library, internet-cafe etc. There is no pop-up warning you, or asking your permission, and you are opted in automatically when you update to Chrome 70. Fortunately you can disable it. It’s in the same location as the previous sneaky ‘convenience’ was added, as described in my previous blog post “Chrome 68 Payment Handler API – is it storing Payment Methods?“. Thanks to issues raised by users as described in this Google Blog “Product updates based on your feedback” Google relented and included the option to turn off the auto Chrome sign-in. But why did the opt-out only come after a wave of negative feedback? Didn’t Google realise in their design meetings the opt-out was a necessity? Or did they prioritise the data they’d gather over your security and privacy? Chrome 68 Payment Methods – enabled by default. 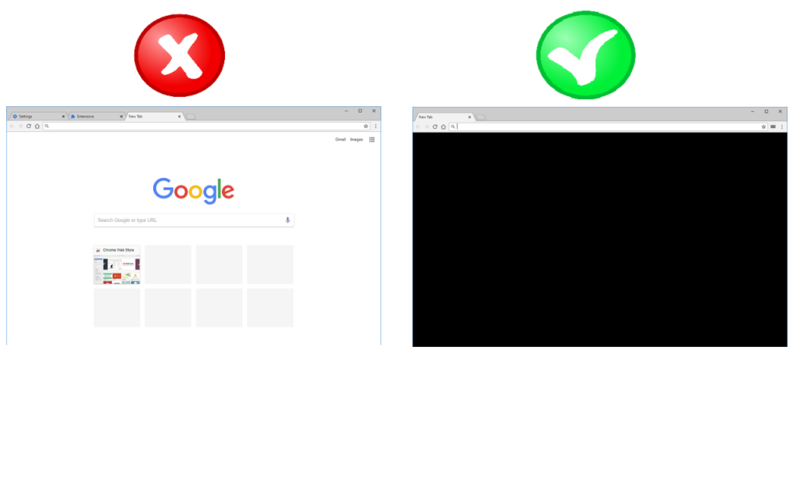 Googles latest update of the worlds most popular browser just released is Chrome 68. There are several additions in Chrome 68 and the labelling of non-https websites as “Insecure” is rightly getting plenty of attention. But another important addition in this update is the inclusion of Chrome 68 Payment Handler API, and notably the fact it is ENABLED by default. You may like that, or you may not. If you don’t want Chrome giving permission to websites you visit to “check if you have payment methods saved” then head to your Chrome settings [see instructions below] now and DISABLE the option – because Google have already enabled it in the Chrome 68 update. What are Payment Methods, are they good or bad? Payment Methods are all about making it easier to make online purchases. In principle that’s a good thing, however you may not like it due to the privacy, security or other considerations. The good thing is that you have a choice, and it’s up to you to make an informed choice. The bad thing is that Google have decided for you and you’re not informed, they could have at least given a pop-up to ask how you would like to configure the new option. If you don’t want the slightly more technical details – no problem, just skip the next section and jump to “How Do I Disable Payment Methods in Chrome?”. How Do I Disable Payment Methods in Chrome? Did you make the most of The Rope of Dreams in my previous post “The Rope of Dreams : Polynomials of the Second Order – Quadratic Equations“. I hope so. Well now you have a chance to take your 120 meter rope and enter another Dimension with Cubic Equations. Once again you are given the Rope of Dreams, and a Golden Scissors which is the only thing that can cut the Rope of Dreams. You can cut the Rope of Dreams twice (cross section, no longitudinal cuts), which will give you 3 lengths. These lengths will be laid out one for each dimension X, Y, Z (i.e. left-right, backward-forward, up-down), and whatever volume you enclose anywhere on Earth is yours to keep, or do with whatever you wish. You can enclose only a single volume, a single time, and then must return the rope and the scissors. What would you do? You may not think of a Polynomial of the Third Order – a Cubic Equation, but you probably should. 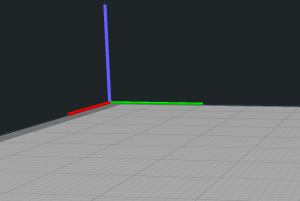 In this post we’re talking about cuboids, we’ll leave spherical shapes aside for now. Where would you go? What would you enclose? Imagine you are given a length of rope that is 120 meters long, and told that you can go to any place on Earth and whatever you enclose with the rope – is yours to keep, or do with whatever you wish. You can enclose only a single area, a single time, and then must return the rope. What would you do? You may not think of a Polynomial of the Second Order – a Quadratic Equation, but you probably should. Say a big “Thanks”, take the rope, and start pondering the options. A likely plan is to think of where on Earth you want to go (a tropical island, a bustling city, a countryside retreat, maybe even Fort Knox – it’s your choice), and while en route to your destination figure out how to maximize the area the 120 meter rope can enclose. I’ll leave the destination to your own imagination (you can post in the Comments section below) and turn our attention for now to maximizing the area the rope can enclose once you get there. Did someone say Polynomial! How long is a piece of string, or 120 meters of rope? A likely first question you might have is to get an idea of just how long 120 meters is, so some reference examples might help, note that ‘m’ is short for ‘meter’. A soccer pitch is between 90m and 120m in length; A rugby pitch is 100m – the same as the 100m sprint in Athletics (Usain Bolt, Carl Lewis etc. ); An American football pitch is 110m long; A CLG/GAA (Cumann Lúthchleas Gael / Gaelic Athletic Association) pitch is between 130m – 145m in length. For petrol heads, 120m is about 24 Nascars end-to-end, or 21 Formula1 cars end-to-end – that’s almost the entire grid – are you heading to Monaco with your rope? Triangles and Rectangles and Squares, Oh My! Get the free App – Monty Hall Game with Monty Hall Proof. Monty Hall Proof – The Formula is here. My two previous posts described the Monty Hall Problem – Can You Solve This Maths Puzzle? and Monty Hall Solution – Advanced! Well, this is the next installment of the trilogy, a simple mathematical proof. Monty Hall Proof – The Formula, Here Comes the Proof! This post “Monty Hall Solution” continues on from my previous post Monty Hall Problem – Can You Solve This Maths Puzzle? If you haven’t read that post, then read it now before reading this. Because I will now show you even more Monty Hall Solution coolness! We saw that you could increase (double) your chances of winning a car by understanding some maths, so let’s delve further into it and who knows, you might win something big (then again you might not, but hey!). So what happens, if there are 4 doors instead of 3 doors? And what happens if there are 5 doors, 6 doors, hmmm, more code required – cool! Get my free Monty Hall Game on Google Play. 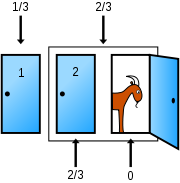 Does The Monty Hall Solution Hold True For 4 or More Doors? For 4 doors we would expect that the odds would be 1/4 (25%) for not changing Vs 1.5/4 (37.5%) for changing. “How did you get those figures?” I hear you ask. Well, with 4 doors, each door has a 25% chance of being correct. Our 1st chosen door has a 25% chance – the other 3 doors have a combined 75% chance. When Monty removes one of those 3 doors by opening it -the remaining 2 doors still have a combined 75% chance – which is now divided by the 2 remaining doors i.e. 37.50% chance each. 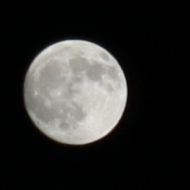 Once again the figures from the 70 million simulations are very precise. Monty Hall Solution with 5 Doors? The Monty Hall Problem is an interesting Maths Puzzle – with a hotly disputed answer. Monty Hall is a well known American TV Show presenter, and this particular maths puzzle gained some notoriety on his TV Show – hence the name “Monty Hall Problem”. The puzzle is quite simple to understand, but as is so often the case it is a little more tricky (and fun) to figure out the answer. Get the free Monty Hall Game on Google Play. Show Me The Monty Hall Problem Puzzle! Monty shows you 3 doors which are closed. You are told that behind one of the doors is a car, behind the other 2 doors lies a Goat. If you choose the correct door you win the car. The doors are labelled 1, 2, and 3. Let’s say you choose Door 1. In an unexpected twist Monty opens say Door 3 – behind which stands a goat! Monty then asks you “Do you want to stick with Door 1, or do you want to choose Door 2 instead?”. Show Me The Monty Hall Problem Answer. Not so fast. The fun is figuring out the correct answer – if there is a correct answer. What I’m going to do is put forward an answer and explanation, then I’ll write a software program to simulate this scenario 70,000,000 (70 million) times and see if it agrees with my proposed answer. Is it better to stick or to twist – or does it make any difference? I’ll share the results (and the code) of this simulation with you. In the meantime, you can try to solve the puzzle by yourself. But before that, I’ll propose an answer – spoiler alert – don’t read the next paragraph if you don’t want to see the proposed answer.